Sorry Darling! This product is now SOLD OUT! Shop Charlotte's Best Sellers here. Matte Revolution Lipstick in Legendary Queen is a soft neutral wine shade in the award-winning matte formula. 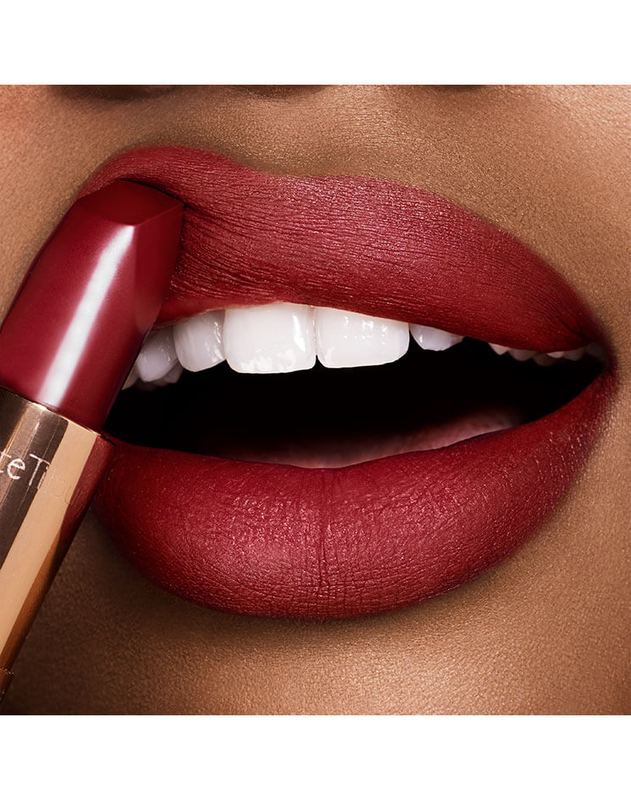 This gorgeous lipstick will add a pop of subtle colour to your face that looks divine on everyone from 18-80. Matte Revolution Lipstick in The Queen is the best-selling iconic lip shade in the can’t-live-without rosy, crown-jewel pink that instantly lifts and brightens your complexion. 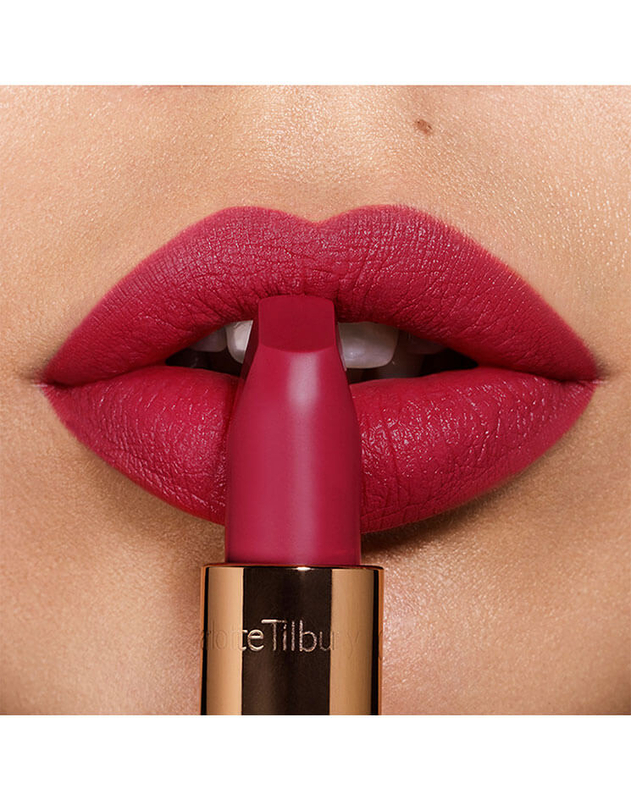 Wear this matte lipstick all year round for a timeless lip look. K.I.S.S.I.N.G Lipstick in The Duchess is a charming tea-rose pink for a splendidly sophisticated lipstick look. In the sumptuous moisturizing formula that will leave your lips kissably-soft, this pink lipstick is perfect for every royal outing in your diary! 1. Use the matching Lip Cheat Lip Liner to trace the natural outline of your lips to resize, reshape and redefine your pout. •	Charlotte recommends matching Legendary Queen with Lip Cheat lip liner in Walk of Shame. 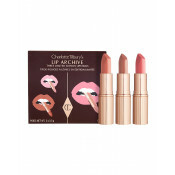 •	Charlotte recommends matching The Queen with Lip Cheat Lip Liner in Pink Venus. •	Charlotte recommends matching The Duchess with Lip Cheat Lip Liner in Pillow Talk. 2. Fill in your lips with your chosen shade using the Lip Brush for precise application, or apply straight from the bullet for a quick lipstick slick. Ingredients: Octyldodecanol, Polybutene, Pentaerythrityl Tetraisostearate, Ethylene/Propylene Copolymer, Caprylic/Capric Triglyceride, Vp/Hexadecene Copolymer, Diisostearyl Malate, Silica, Dicalcium Phosphate, Hydrogenated Styrene/Methyl Styrene/Indene Copolymer, Mica, Ozokerite, Stearalkonium Bentonite, Propylene Carbonate, Pentaerythrityl Tetra-Di-T-Butyl Hydroxyhydrocinnamate, Crambe Abyssinica Seed Oil, Ethyl Vanillin, Bixa Orellana Seed Extract, Bht, Tin Oxide, [May Contain/Peut Contenir (+/-): Titanium Dioxide (Ci 77891), Iron Oxides (Ci 77491, Ci 77492, Ci 77499), Carmine (Ci 75470), Red 6 (Ci 15850), Red 7 (Ci 15850), Red 7 Lake (Ci 15850), Red 28 Lake (Ci 45410), Red 30 Lake (Ci 73360), Yellow 5 Lake (Ci 19140), Yellow 6 Lake (Ci 15985), Blue 1 Lake (Ci 42090)]. Ingredients: Neopentyl Glycol Dicaprylate/Dicaprate, Trimethylolpropane Triisostearate, Dimethicone, Cera Microcristallina/Cire Microcristalline, Polyethylene, Polybutene, Dimethicone Crosspolymer, Silica, Mica, Dicalcium Phosphate, Ethyl Vanillin, Caprylic/Capric Triglyceride, Tocopherol, Carthamus Tinctorius (Safflower) Seed Oil, Zea Mays (Corn) Oil, Pentaerythrityl Tetra-Dl-T-Butyl Hydroxyhydrocinnamate, Carica Papaya (Papaya) Fruit Extract, Orchis Mascula Flower Extract, Bixa Orellana Seed Extract, Bht, Tocopheryl Acetate, Tin Oxide, [May Contain/Peut Contenir (+/-): Titanium Dioxide (Ci 77891), Iron Oxides (Ci 77491, Ci 77492, Ci 77499), Carmine (Ci 75470), Red 7 Lake (Ci 15850), Red 6 (Ci 15850), Yellow 5 Lake (Ci 19140), Yellow 6 Lake (Ci 15985), Red 28 Lake (Ci 45410), Blue 1 Lake (Ci 42090)]. 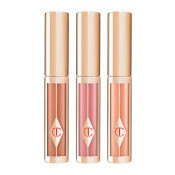 Charlotte Tilbury Your Lip Service Royal Lipstick Trio is rated 4.6 out of 5 by 69. Rated 2 out of 5 by Ri93 from Not what I expected for the money. The product on arrival was fine and packaged to a good standard. In terms of the product, all three lipsticks (of the "your lip service" Trio) were not to a standard I would have expected for £60. All three lipsticks were very sheer, did not last, and I found myself reapplying each one multiple times during the day with significant transfer. 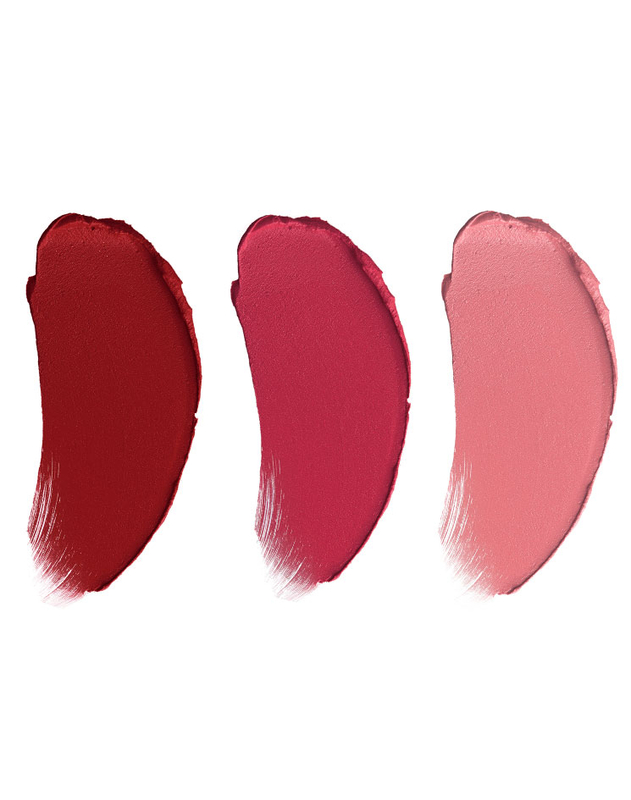 Considering two of the three lipsticks were marketed as being "Matte Revolution", they definitely were not and were very drying on the lips and gave little coverage and felt extremely cheap. I am gutted as I had to send them back. Rated 5 out of 5 by Chloe from FIT FOR A QUEEN This kit is so beautiful. 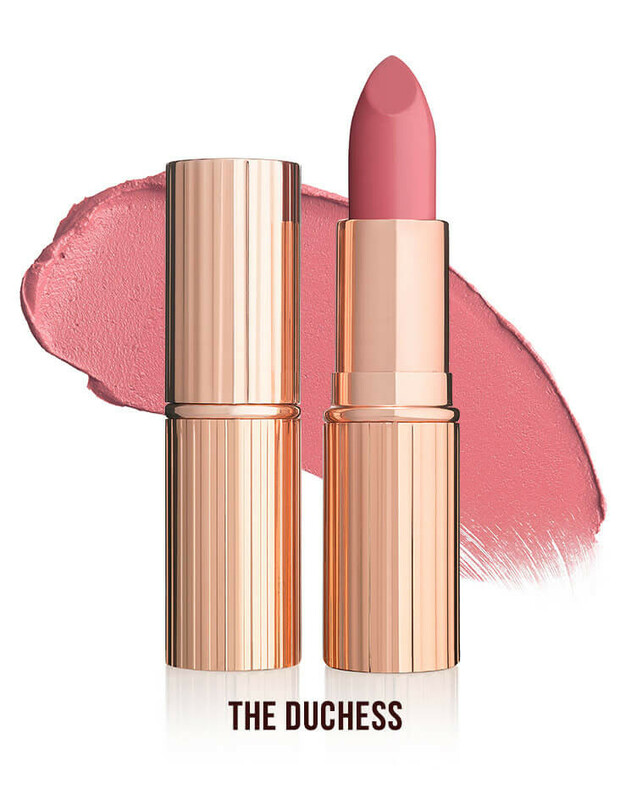 The Duchess is the perfect everyday lipstick. It makes you feel switched on and empowered. 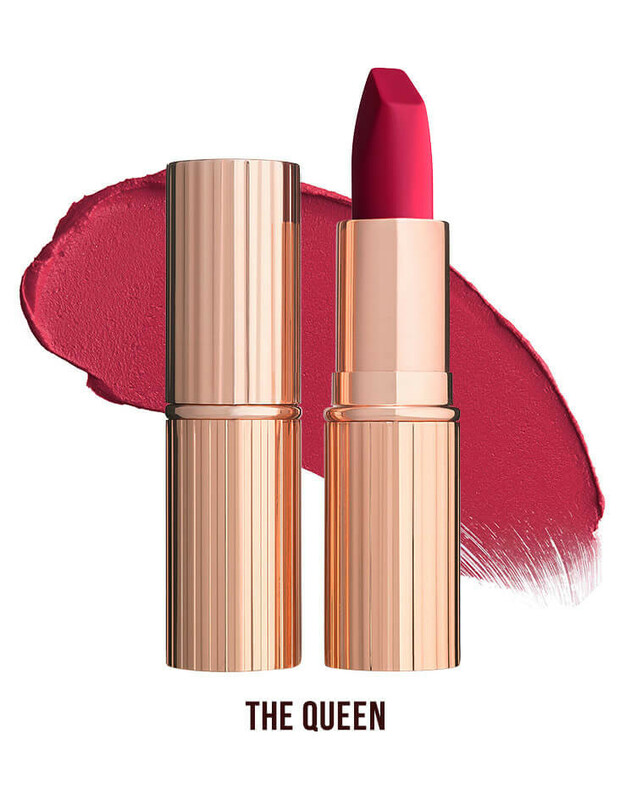 The Queen is the most gorgeous royal red, amazing for when you need a pick me up or want to look stunning on a nights out. The legendary queen is such a bold, but beautiful colour. Sophisticated, but edgy! Great if you want to make an impression. I love all three of these lipsticks. They're so creamy when you apply them, but they're also lasting. I've been pairing all three of these with different CT lipliners; pillow talk, walk of shame and supersize me. I also have sensitive skin and lips that dry out easily. These lipsticks haven't irritated me and have kept my lips looking hydrated and full. Rated 5 out of 5 by Audrey from Good mix of colours I do love this lip kit. 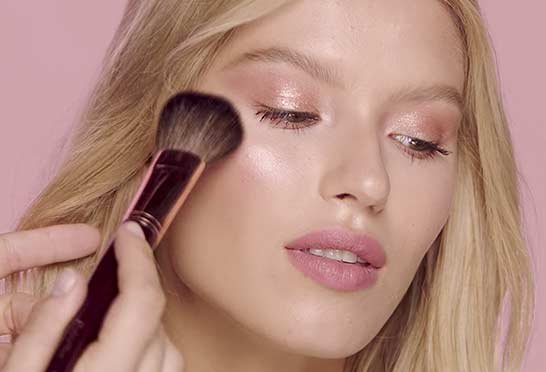 Yes it’s pricey but Charlotte Tilbury is a high end brand. Legendary Queen is a great shade it’s like walk of shame but more intense. The Queen is a stand out fuschia for those looking for a bold glam look. The duchess is a great every day lipstick- it’s a bit like pillow talk but in the K.I.S.S.I.N.G formula so had a great 3D gloss effect. The two matte shades do last well particularly with liner. Rated 5 out of 5 by Sarahsjs20 from Gorgeous colours My what a fabulous collection of colour from a vibrant Matt pink that is super comfortable to wear to a surprisingly wearable red, best I’ve ever tried as I buy lots but none suit. The paler colour is not for me as my natural lip colour is a dark pink so it makes me look flat but mix it with the other two and you have a summer version of the red and a glossy version of the pink. Love them and I’m quite surprised I did ! Rated 4 out of 5 by Miamigoldengirl from Good vibrant trio of color! I have dry lips and usually stay away from matte, but this matte is very emollient. 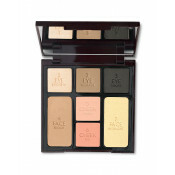 I wear #4 in her foundation and find all three colors to be vibrant with a high color payoff. Even Duchess, the lightest color in the group, is a good medium pink neutral. My favorite is The Queen, which looks good day and night. I wear Legendary Queen at night only. They all go on beautifully and I do not wear lip liner with them. Rated 5 out of 5 by Anonymous from Three Cheers for Your Lip Service Royal Lippies! First of all, I love the Charlotte Tilbury lipsticks. Creamiest formula ever and they stay put - no bleeding. And, they smell like Heaven. The three colors are stunning. I know The Queen will be a beautiful color for Summer and Spring but during the winter it is a bit too pink. Do yourself a service and buy these before they're gone!! Rated 2 out of 5 by Anonymous from Disappointed in two out of the three. The Legendary Queen is my favorite in this set and it’s really close to shades like Bond Girl and Walk of Shame. The Queen is a BRIGHT hot pink on me which I’m debating if I am even going to wear and the Duchess is just OK. you need a liner for ALL of these shades to make them look even. Rated 3 out of 5 by Bealawson27 from Not worth the hype Bought the trio a few weeks ago and was excited to try them. They’re OK... but - the colours in pics are not at all like the real thing; all three shades are darker than I would have ever wanted. They are creamy, wear ok as long as you don’t eat / drink / kiss someone’s cheek etc. Then they fade fast and settle in fine lines. Shipping was very fast but to my disappointment the “2 free samples” were nowhere to be found. The company’s loss I guess, it would have been an opportunity to get me to try a couple of other things. In short - not worth the hype. Will stick to my Nars, Tom Ford and M Jacobs lippies.